I placed Adik onto the walker and gave her a ball to play with. I took a copy of newspaper and sat by the door. Adik was sitting near the shoe rack. Suddenly I heard she screamed and cried. 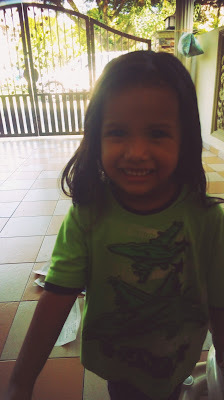 Before I could glance at her, I heard Kakak said; "cat!". No it wasn't a cat, it was a MONKEY! I grabbed her and tried to scare away the monkey. He stepped back but didn't run. 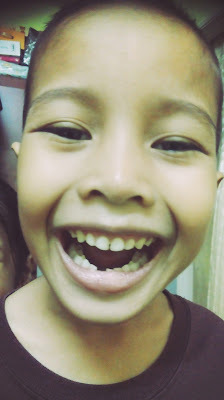 I handed Adik to Abang and throw a shoe to him. He backed off but still sitting on the fence. I took a cloth hanger and threw it to him. Yes! It hit him and he ran away. I checked on Adik's head, face and hands and alhamdulillah everything was OK. She also stopped crying. 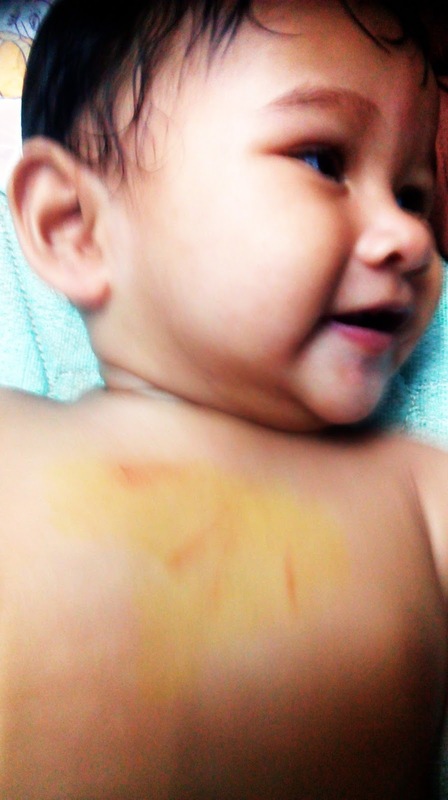 However, not long after Abang noticed there were few scratchers on her chest. My heart stopped! 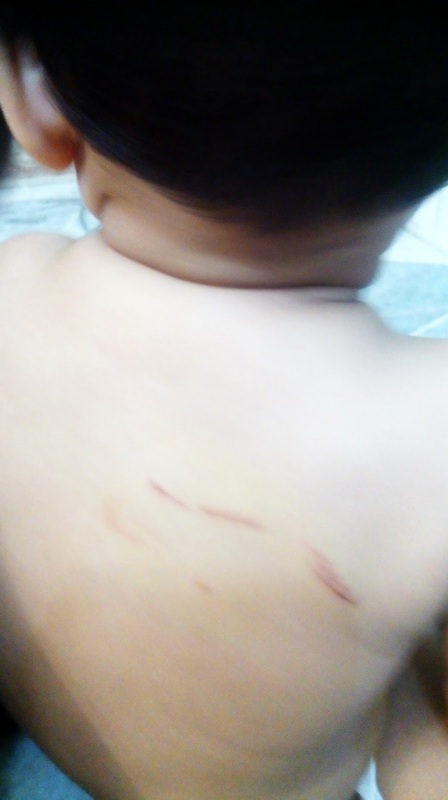 The monkey has attacked Adik. He tried to grab the ball I guessed. He might thought the ball which Adik was holding was a fruit, judging from the color, orange. We then discovered another wound on Adik's back. This one was worse. About 4-inch cut. I couldn't bring myself to imagine how she got the cut. The monkey possibly jumped onto her back. It was horrible! This monkey has been roaming in our neighborhood for months. We usually see him on the trees, roof and sometimes on our neighbors' verandah. He never come to our porch before. I am thinking of reporting the case to the authority to prevent another untoward incidents in the future. We must be extra careful next time.
" Aah la Angah, nanti kita cabut ye..."
"Angah nak pi hospital nanti..."
"Tak payahlah Angah. Mahal. Tiga puluh lima ringgit tau Abang cabut hari tu"
"Umi! 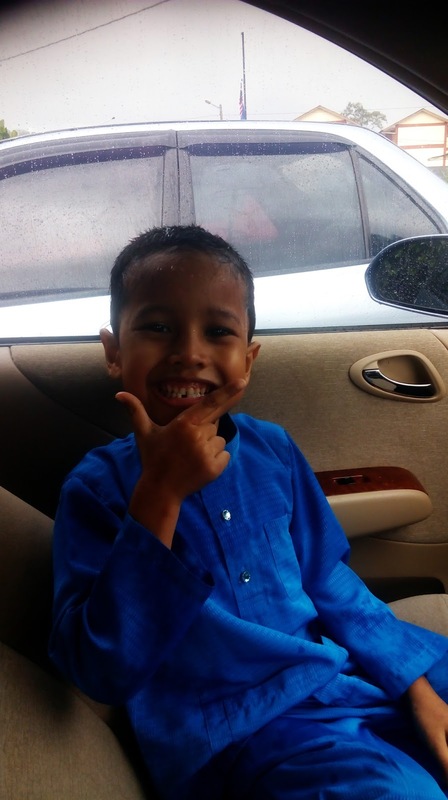 Gigi Angah dah cabut!" I think it refers to the way it is prepared. We just simply tepek the batter on the pan and let it cook. 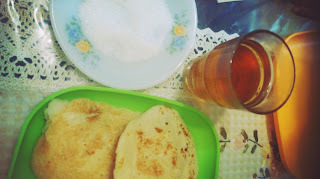 My mother, Mak usually cooked this for our breakfast or tea, when I was young. It requires a simple ingredients; wheat flour, salt and water. Mix them well. And you are done with the batter. Most of the time, we ate tepek with sugar. 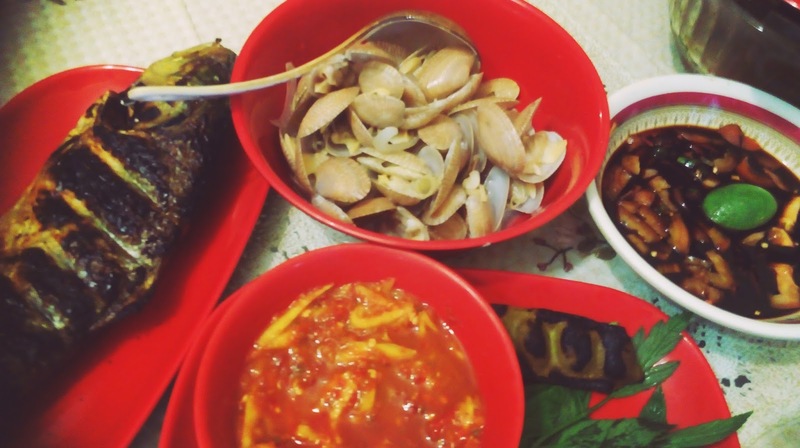 However, I like it the most when we had leftover fish curry because we can eat with tepek. Unfortunately it was not so often. Very few occasions that we ate tepek with condensed milk. It was a luxury item for us during that time. My father, Pak would only bought condensed milk during bulan puasa and hari raya. Now I am happy to share this memory with my children. 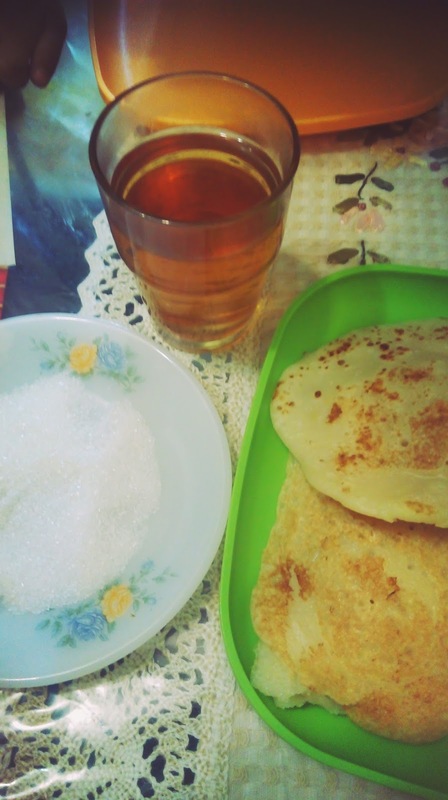 They enjoy eating tepek and I am very grateful to be able to provide them with something considered luxury for me during my childhood. Alhamdulillah. I went to my regular shopping spot, a wet market today. I spotted a couple selling buah kuini in front of the market entrance. I walked pass them and went directly to the chicken stall. Make order then proceed to buy fish. Akak ikan: "Lama tak nampak akak? Done with that, I stopped at the car where the pakcik makcik sell buah kuini. I bought two. Price per kg is rm8. Wow! Very pricey right? 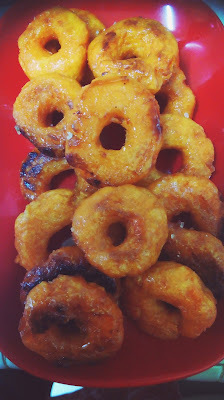 I like keledek very much, whether it is pengat, keledek goreng or rebus. Sometimes we put it in masak lemak pucuk manis. Tambah pulak udang memang sedap. 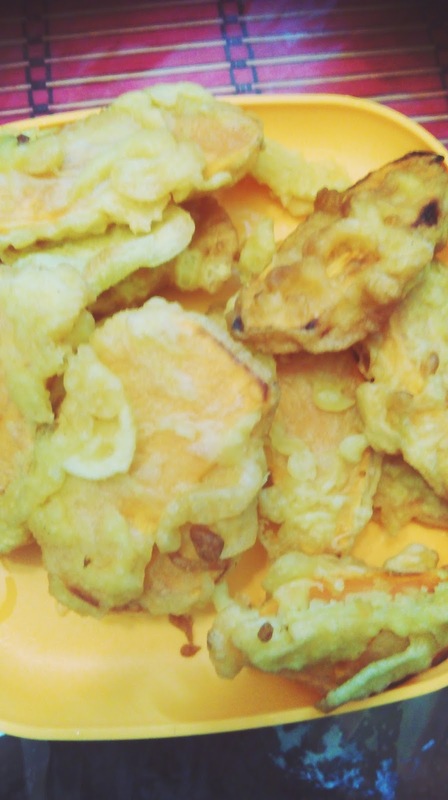 During my childhood we always consumed keledek kuning/putih, which we grew on our own. We called them ubi ketela. 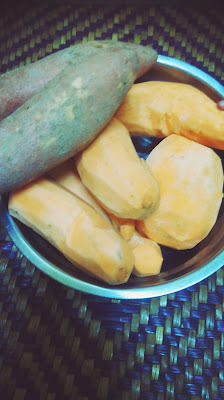 On the other hand, potato is called ubi gemala, my other favorite. Kuih keria untuk sarapan anak2 dan juga juadah berbuka semalam. Thanks K.Azie Kitchen for the recipe. 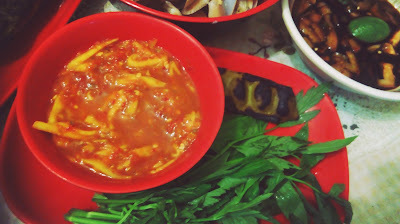 I had my first bite of keledek oren when my primary schoolmate, Nora offered me to try. 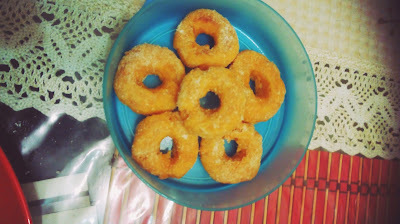 It was sweeter, more tender and better than keledek putih/kuning. I wish I could have more. However I never asked from my parents to buy keledek oren because I was afraid that they have to fork out more money just to satisfy my wish. I assumed that keledek oren must be pricey because it tastes better than keledek putih/kuning. 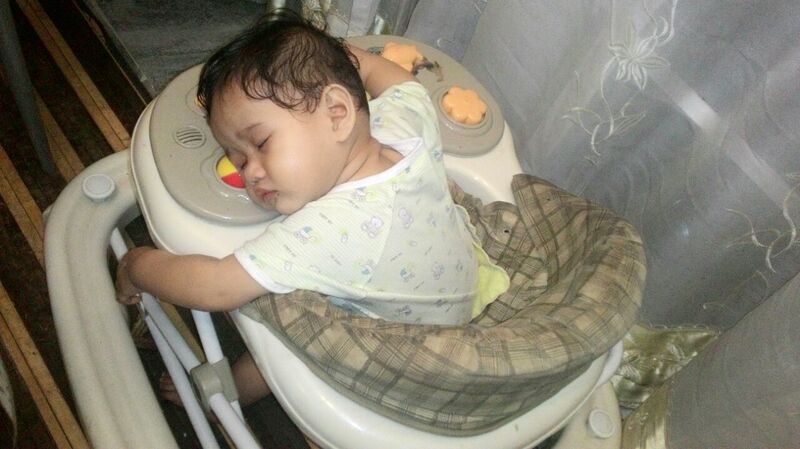 Meanwhile, keledek ungu was beyond imagination at that time. Keledek goreng or cucur ubi, my all time favorite. 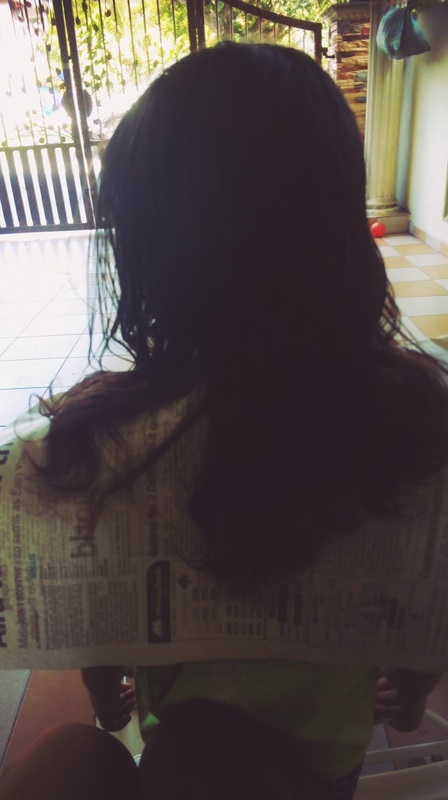 Every time I comb her hair, I told her we should cut the ekor rambut as they started to become dry and kusam. After so much delay, we managed to cut her hair. While she was ready, me on the other hand feel reluctant to do so. Tetiba rasa sayang pulak dgn rambut tu. But I soldiered on. Adik is down with flu and fever. As a result she becomes too clingy. She wants me to be by her side all the time. Whenever I am out of her sight she would cry. And cry loudly! Get well soon sweetheart ! 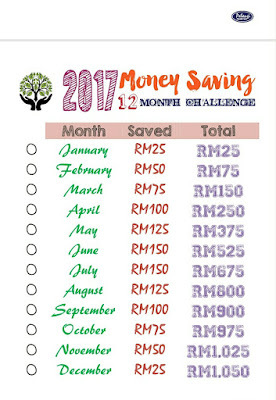 Few days ago, my friend Cikbi shared with us a money saving chart. I think it is very useful and cool too. Meanwhile, I like to try the following methods. 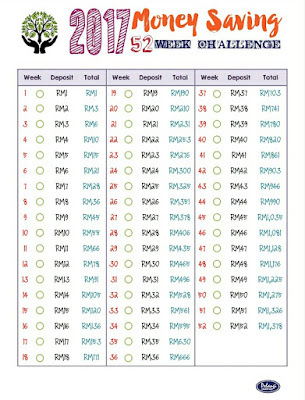 Though we are required to save a big amount of money but it is on monthly basis, which is easier and viable for us. 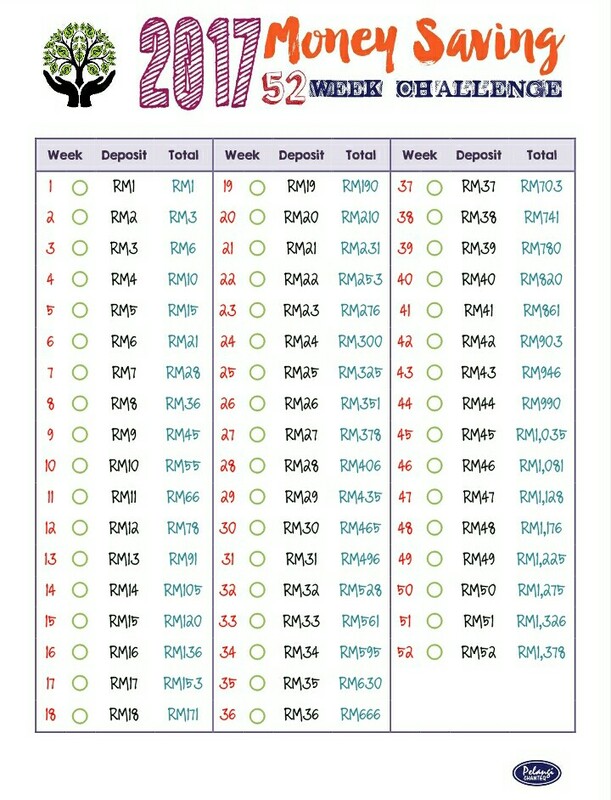 Look at the total saving the we will have at the end of the year. Enticing! I like this one very much. 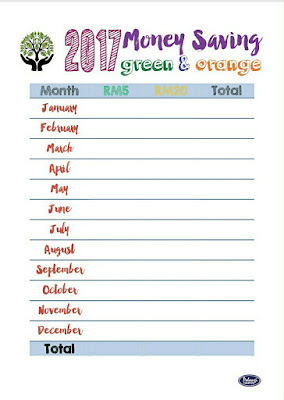 Every time you get green note (rm5) or orange note (rm20) keep it in your tabung. 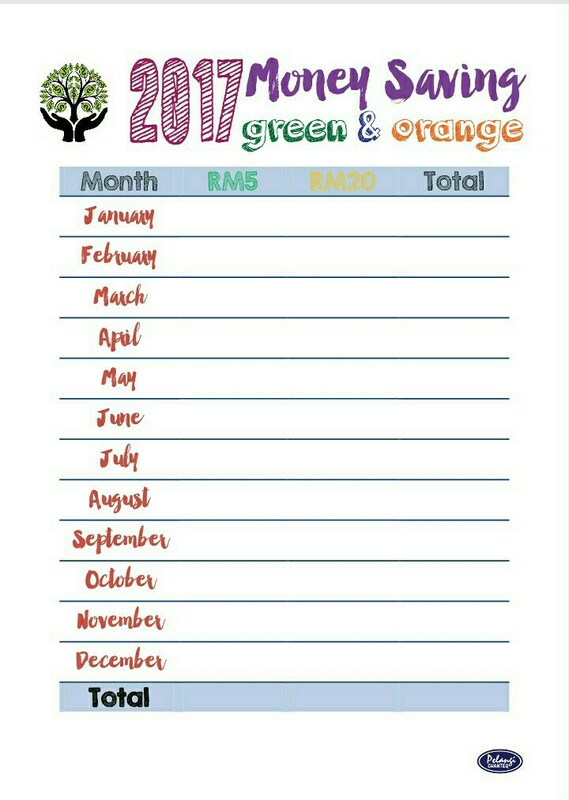 However rm20 is a big money for me. So I substitute with gold coins. Lets make it fun while saving okeh. 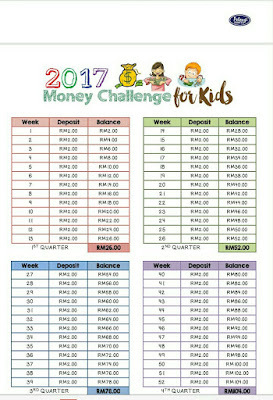 Though this is meant for kids, but I want to try also. 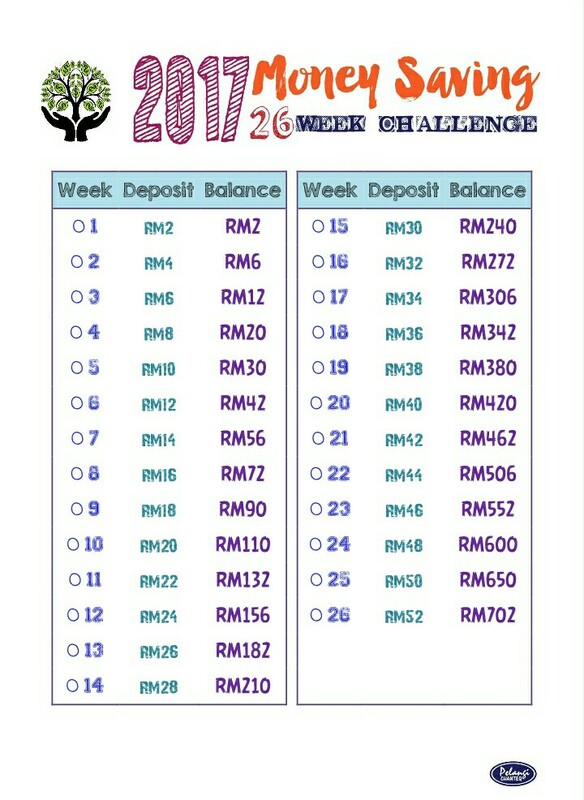 I have briefed Abang about this challenge and he seems to understand. To encourage him, I will do it too. 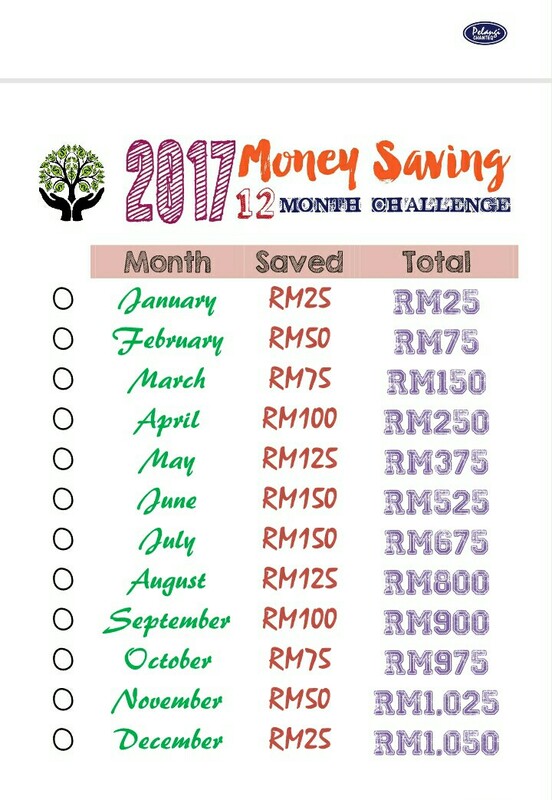 We will see at the end of the year who has more saving. 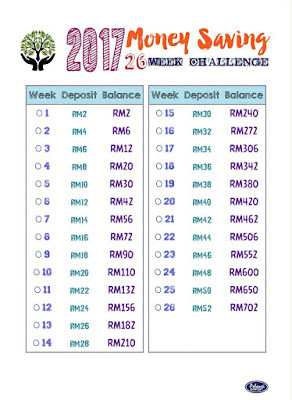 Another method that I will try is to save rm1 per day. I have done this before it was successful. Undoubtedly we need discipline in doing this. Can't wait to see the result, in another 363 days insha Allah. To get a clearer idea, please read this.